The rounded, metal panels of the Lifo ceiling light by Tech Lighting come together to create a symmetrical, contemporary shade around the integrated LED light source. The simple use of negative space adds visual interest to this clean profile, offering a nice change from the classic circular ceiling light. Offered in a high gloss White or Gray finish, the exterior gleams. This Lifo light is ideal for complementing a modern bathroom, foyer, hallway or for light in a large installation with multiples throughout an expanse of commercial space. 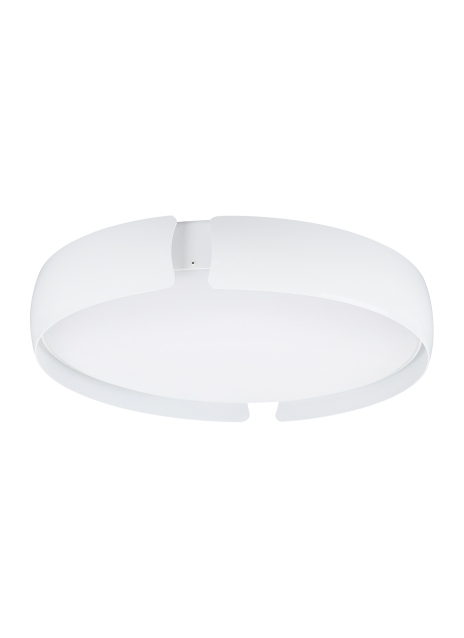 Damp-rated and dimmable, the Lifo ceiling light is 2.5" high and 14" in diameter.